Former ABC TV/radio leading sports broadcaster/ author/ speaker/ Master of ceremonies/ facilitator. For more than two decades from early 1990 to 2011, Glenn Mitchell lived a life that many envied. As a sports commentator for the ABC, and married to fellow broadcaster, Karen Tighe, he travelled the world covering elite level sport. During his tenure with the national broadcaster he commentated on four Olympic and four Commonwealth Games and called over 190 international cricket matches, covering 12 overseas tours. Back home, he commentated more than 900 AFL and WAFL games, was the host of the iconic SATURDAY SPORTSTALK, and commentated on myriad sports. But all through this period, Glenn was a sufferer of mental illness. In late 2006 he finally realised he needed medical help for his condition. Thus started a long and complex journey of self-analysis and various medications as he endeavoured to overcome his illness. Despite having made progress a confluence of events in early 2011 saw him descend into a highly depressive mental state that resulted in him inexplicably resigning his position at the ABC and making an attempt on his own life. It was the blackest of periods in the life of a man who appeared to have everything to live for. With the support of his wife, family, friends and doctors, he was able to fight back from the brink of despair. While he forfeited his dream job, what he gained by way of his rehabilitation was far more important. After overcoming his personal demons and reshaping his life, Glenn now aims to try and prevent others from enduring the torturous path he did by candidly speaking about his own journey. It is a story laced with poignancy, humour and, above all, hope for those who suffer the anguish of mental illness or know people who do. Glenn’s goal is to encourage everyone who is or has been touched by the scourge of mental illness that help is at hand. His story is truly inspirational and often elicits standing ovations from audiences. What We Can All Learn from Sport – encompasses teamwork, attitude, motivation and examples of elite performance that we can take from sport and apply to everyday life. 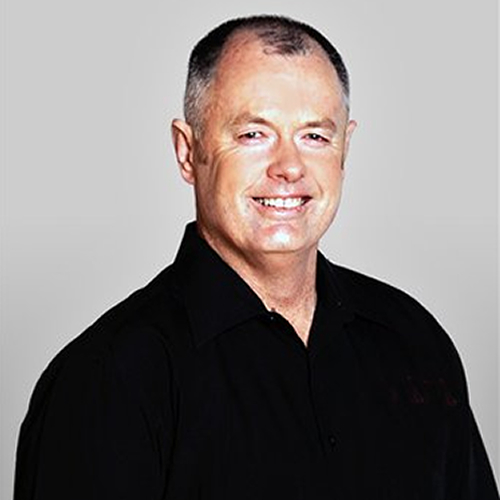 The Best Seat in the House – this centers on Glenn’s life as a sports broadcaster and includes many behind-the-scenes anecdotes from various Olympic Games, Commonwealth Games, and overseas and national cricket tours he has covered. Australia – A Great Sporting Nation – highlights how as a small nation we have become a world beater and example of best practice in the area of sport. It encompasses first hand examples that Glenn has witnessed at major international sporting events. Scott Ballem – W.A. Football Development Trust. “We appreciated Glenn’s professional approach as MC for our Emerging Leaders Program Launch, and his prior preparation. We were very pleased with the outcome of the launch. Excellent MC”.